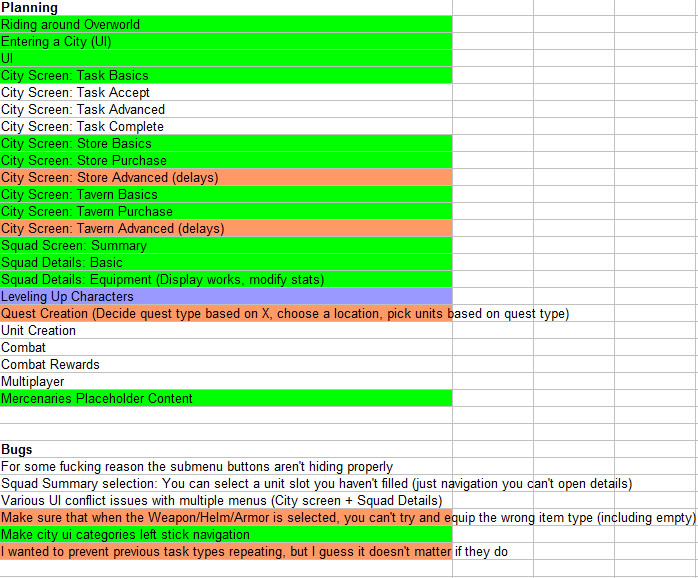 Unlike Mercenaries, there are more than 4 items in a City at a time, so there’s also a page turning function. However as I mentioned last time, non-Weapon equipment is possibly on the chopping board. Alas, the perils of game development! 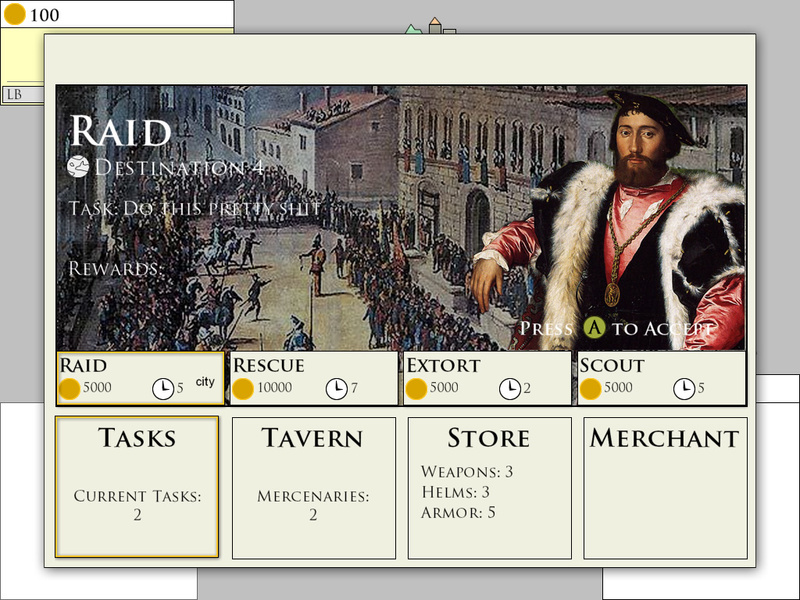 The Task UI was the last major City UI menu that needed to be completed. In this category you can view and accept the Tasks that a City State will request of the players. 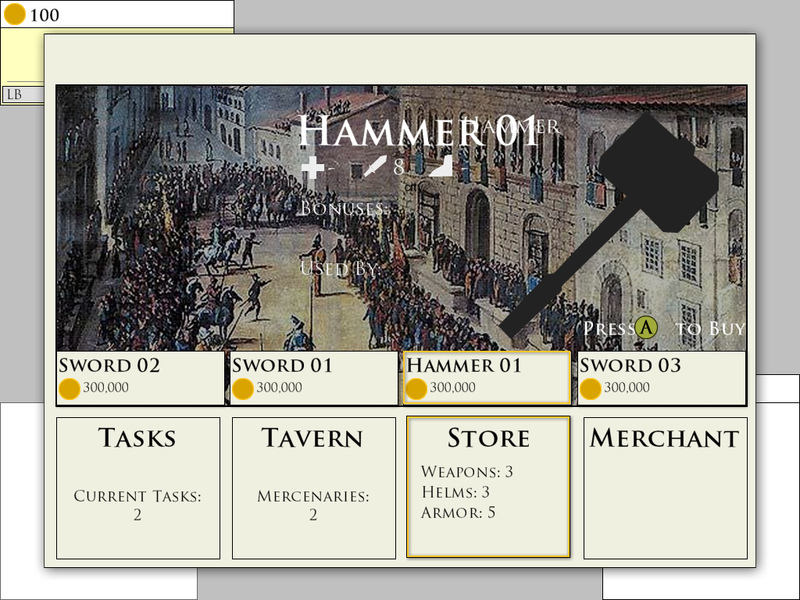 Unlike the Mercenaries and Store, Tasks can’t just be ‘purchased’ for resources… Tasks are how a city creates dynamic content for players to engage with. Tasks need to be generated, unlike Mercenaries and Equipment which are randomized but static (a Mithril Hammer will always be a Mithril Hammer). I’ll get into the details of Task creation next time, but for now I’ve taken the first major steps towards actually creating gameplay. When simple Tasks are in game, players can visit cities and then compete with each other to complete a Task first and receive the reward. This is a little bit of a retroactive blog post, so next time I’ll go over what I did today (Day 10) and explain exactly how Ventura will create interesting content for the combatants!